Europe is the fourth largest producer of fish in the world, according to Eurostat, with about 6.4 million tonnes of fish and shellfish caught or harvested by the European fisheries and aquaculture industry in 2015. Approximately 80% of European aquatic food production comes from wild fisheries, while around 20% comes from aquaculture, or fish farms. But at the same time, climate change is altering the productivity of this sector and threatening biodiversity and habitats. The temperature of Europe’s seas due to climate change is increasing faster than in global oceans, according to the European Environment Agency, and Mediterranean species like bluefin tuna and anchovy, attracted by warm waters, are moving northwards to be observed in some cases, as far north as the North Sea. ‘We have been witnessing the effects of climate change on fish and shellfish around the world for some time now and these effects are predicted to become larger in the future. 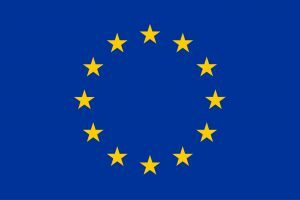 It is critical to understand how Europe’s aquaculture industry and EU policy will need to adapt to foster Blue Growth in light of climate change,’ said Professor Myron Peck from Universität Hamburg in Germany, referring to the EU‘s long term economic strategy for a sustainable marine sector. As part of a project known as CERES, Prof. Peck and his colleagues are looking at the most high-value fish and shellfish populations across European waters, and how climate change will impact them, their habitats and economic activities in the future. The project, named after the Roman goddess of agriculture and fertility, also works closely with both wild and farmed sectors to examine how they can adapt to these adverse changes, as well as potentially benefit from them. ‘CERES offers the opportunity to build strong relationships between scientists studying climate change and the leaders of Europe’s aquaculture industry. We employ business-proven methods, such as risk assessment, to create what we hope will be actionable science — science that is fit for purpose and can be used by policymakers and the aquaculture industry,’ said Prof. Peck, who is also the coordinator of the project. It is important to know what effect climate change will have on different species because there may be a reshuffle, in which some species could decrease — or even become extinct — and new ones could appear. This will help policymakers set limits on how much target species fishermen can catch, or open up new fisheries, and fish farmers can invest in species that are still viable, disease-free and suitable in their area. Already, the CERES team has created maps of future changes in key environmental factors affecting fish and shellfish from the North Sea to the Mediterranean. In the case of aquaculture, for example, where small marine parasites called sea lice can devastate farmed salmon populations, a warmer future could increase the potential for sea lice infestation in farms further north in Norway, where sea lice are not currently a major issue, explains Prof. Peck. On the contrary, we could see a decrease in winter disease or syndrome in seabream in the Mediterranean, he says. ‘Although climate change is clearly a negative and unwanted effect of humans on our planet, some aquaculture industries in some regions will likely indirectly benefit from the physical and biological changes that will occur due to future climate change,’ said Prof. Peck. His intention is to create easy-to-use online tools that will help fish and shellfish farmers see the potential effects of climate change on their product, in their region, and help them decide what to grow and where. ‘Climate change is one of the most pressing global issues and our climate science has advanced to the point where it is ready to be put to work, so to speak, to promote Blue Growth,’ said Prof. Peck. Other European Union projects are also working towards sustainable growth in future seafood production. ClimeFish is aimed at identifying the consequences of climate change for European fisheries and aquaculture in 25 different fish and shellfish species. She and her colleagues are forecasting the future growth for 16 different case studies, including the most productive and the least resilient species used for seafood in Europe. They are also developing new tools to ensure that all those involved will be able to tackle both risks and opportunities emerging from climate change in the future. This may save costs and avoid potential extinction of species that are already under threat. ‘We want to evaluate the challenges climate warming introduces, but also see the opportunities arising from a warmer climate in order to prepare and adapt as good as possible. This goes for both fish and shellfish production,’ explained Prof. Aschan. ClimeFish forecasting will be based on climate change scenarios from the UN’s Intergovernmental Panel on Climate Change (IPCC), and results will provide recommendations for a sustainable practice and management. 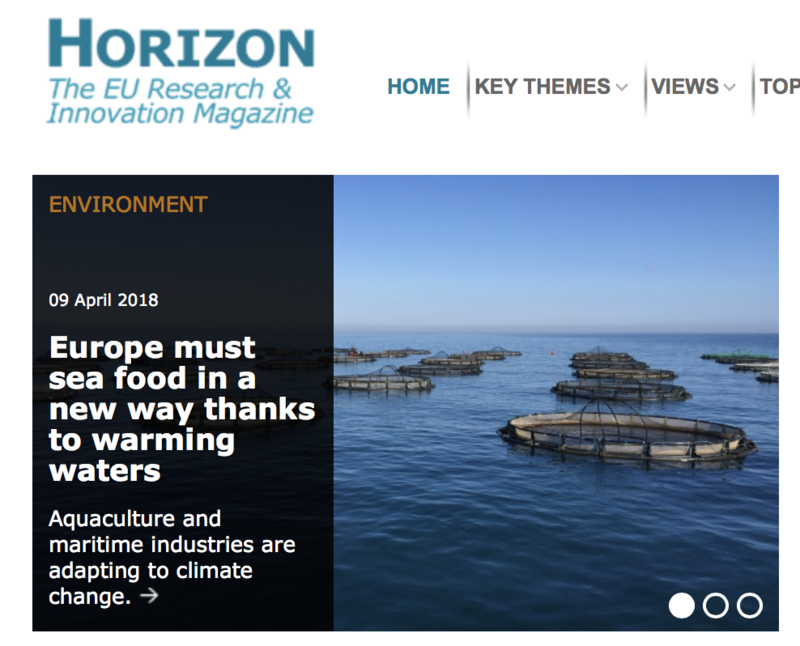 This post Europe must sea food in a new way thanks to warming waters was originally published on Horizon: the EU Research & Innovation magazine | European Commission.